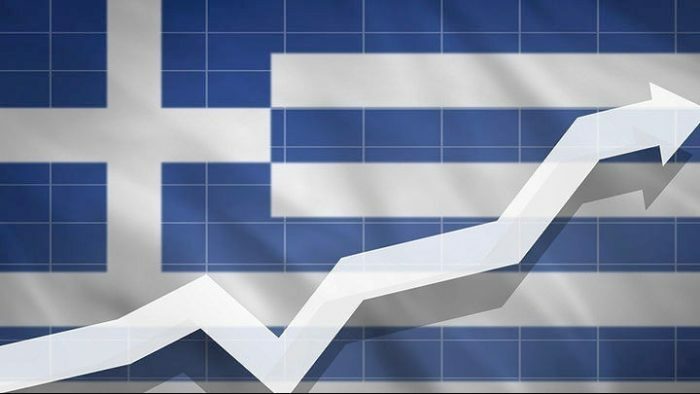 Greece’s state budget primary surplus was €605 million ($702 million) higher during the first seven months of 2018 compared to the same period last year, the State Budget Office of the Hellenic Parliament announced in a report. The report also shows that the state budget’s cash primary surplus was €969 million ($1.124 billion) lower than the amount during the same period for 2017. Budget revenue showed an increase in tax revenue by €300 million ($348 million) and Public Investment Program revenue by €271 million ($314 million) in the January-July period, while privatization revenue was down €741 million ($860 million) on an annual basis. State budget spending showed an increase of €325 million ($377 million), attributed to an increase in primary spending by €931 million ($1.080 billion). Capital spending fell by €725 million ($841 million) and Public Investment Program spending was down €119 million ($138 million) in the same seven-month period. State companies showed an increase in revenue by €71 million ($82 million) and lower spending by €188 million ($218 million), reporting a cash primary result improved by €209 million ($242 million) on an annual basis. Local authorities reported an increased revenue by €564 million ($654 million) and higher spending of €325 million ($377 million), resulting in a surplus increase by €236 million ($274 million) on an annual basis. Social Insurance agencies reported higher revenue €594 million ($689 million) and increased spending €1.166 billion ($1.353 billion), resulting in a deterioration of their cash primary surplus by €574 million ($666 million) on an annual basis. The general Government’s arrears fell by €594 million ($689 million) in the seven-month period of 2018, following an increase of €519 million ($602 million) in the same period last year.